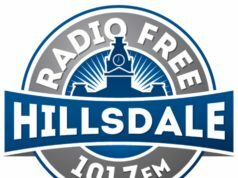 The Hillsdale College Mar­keting Department and WRFH 101.7 FM, Hillsdale College’s student-run radio station, have part­nered to produce a weekly podcast called “Radio Free Hillsdale Hour.” The show cur­rently airs on about ten radio sta­tions in Michigan, and the podcast can be found on Sound­Cloud, iTunes, and Google Play. The show airs weekly, and the college’s goal, according to the original pitch, is to gen­erate over 25,000 sub­scribers to the podcast and reach a radio lis­tening audience of over 100,000 people within the first cal­endar year. Given Hillsdale’s success from talk radio, Schlientz said he believes Hillsdale’s sup­porters will be “pre­dis­posed to listen” to the podcast. 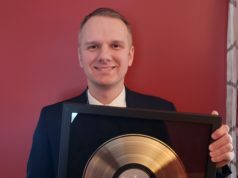 “Nine months ago, I finally had some time to think about it deeply and figure out a format that would be enter­taining, repeatable, and sus­tainable,” Bertram said. With the help of the mar­keting team, Bertram developed a program that he said is “largely about high­lighting what we do at Hillsdale for the outside world.” He explained that the show has four seg­ments, each of which fea­tures a guest. One segment fea­tures guests that Bertram called “friends of Hillsdale.” These guests are typ­i­cally people who have spoken at the Center for Con­structive Alter­na­tives lec­tures or are involved with the The Allan P. Kirby, Jr. Center for Con­sti­tu­tional Studies and Cit­i­zenship. “They are people whose thinking and opinions we want to high­light,” Bertram said. One such guest is Brian Christian, author of “The Most Human Human” and recent guest lec­turer on Hillsdale’s campus, who spoke on the future of arti­ficial intel­li­gence in the Feb. 22 edition of the show. Bertram ded­i­cates the rest of the show to “shining a spot­light on things at campus,” such as the faculty, the Kirby Center, and the Churchill Project. One segment usually fea­tures a Hillsdale College pro­fessor who speaks on current events. In the March 1 edition, Spalding visited the show and dis­cussed Pres­ident Trump’s emer­gency dec­la­ration for the southern border. A third segment fea­tures a guest from various depart­ments of the college who edu­cates the audience on the impor­tance of the liberal arts. In the March 15 edition, Hillsdale’s Asso­ciate Pro­fessor of English Dwight Lindley began a series that will be occa­sionally fea­tured on the show on basic lit­erary con­cepts . Schlientz referred to the final segment as a “wild card segment.” The topic of this segment varies from alumni spot­lights to recordings of speeches, recent or his­torical, that coincide with Hillsdale’s mission. For example, in the Feb. 22 edition, the last segment fea­tured a 1994 Center for Con­structive Alter­na­tives lecture given by former U.K. Prime Min­ister Mar­garet Thatcher. Addi­tionally, it ties in the network of Hillsdale alumni. 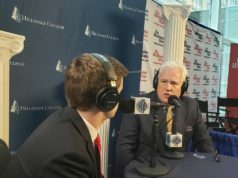 Bertram has hosted mul­tiple alumni on the show, including Thomas Mor­rison ’97, who is cur­rently a Repub­lican member of the Illinois General Assembly. this is already a show that runs daily during the mid-day time slot — Rush Lim­baugh.